Staff: No form is needed this year. 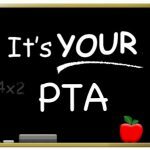 If you wish to join PTA, simply put $10 cash or check in an envelope with your full name and email address, and drop it in the membership folder in the PTA mailbox. Thank you!